All parents want the best for their kids, so why not consider a tool that can help them become more mindful and better able to deal with all the chaos around them ? Children these days have difficulties focusing their attention on important things such as parents, friendships and school. Practicing Yoga improve their ability to calm the mind and bring a higher level of concentration into focus. It is vital for kids to engage in a non-competitive activity. My kids Yoga class allows them to interact in a playful way, by fueling their imagination and lust for life. My kids Yoga program focus on integrating Art and Yoga. Both these activities promote mindfulness to enable children in developing a present moment awareness. Understanding the similarities and differences in both these practices is the Art of self care. When we practice any kind of mind-body activity, children notice how their mind is affecting their body, and how their body is affecting their mind. We experience techniques for self-health and relaxation that can ease life’s challenges as they grow older. In our technology-based world where everybody is connected, it is vital to teach our children about the importance of self regulation and learning how their brains work so they might react less emotionally and more rationally in situations, and understand that they can be in control of themselves and their actions. 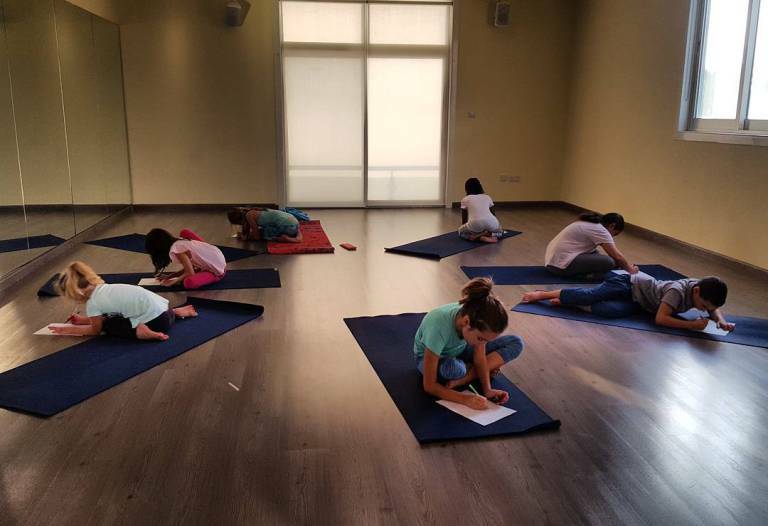 By learning Yoga, kids will get to experience and understand self-health, relaxation and inner calmness. They also get to navigate life’s challenges with a little more ease and understanding. When a child displays great focus and flexibility in Yoga, it does wonders for their confidence. A successful Treepose for example requires strength and balance, which leads them to believe in themselves and pursue their true abilities for their life’s adventures. 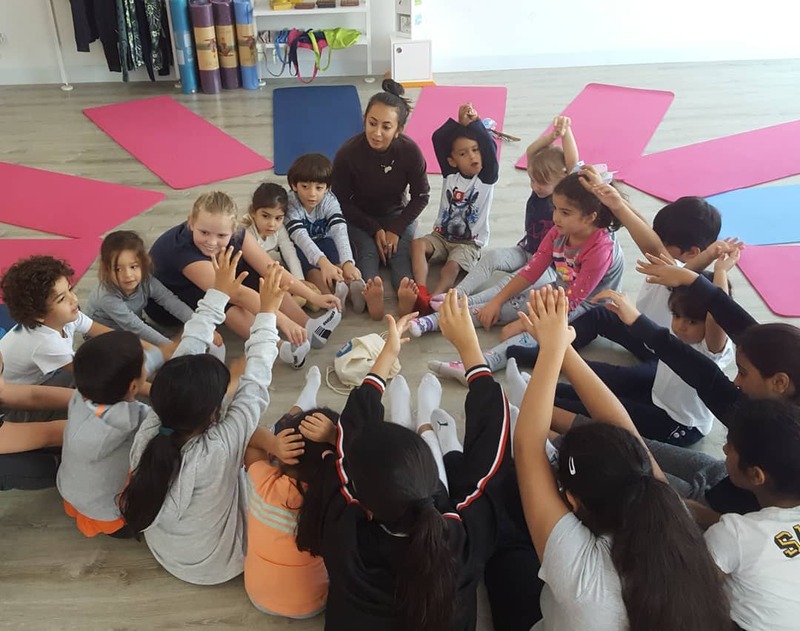 Join our 60 hours Teen Yoga teacher training program in Abu Dhabi from January 23-27, 2019 for a 5 day workshop hosted by the founder of Teen Yoga, Charlotta Martinus. 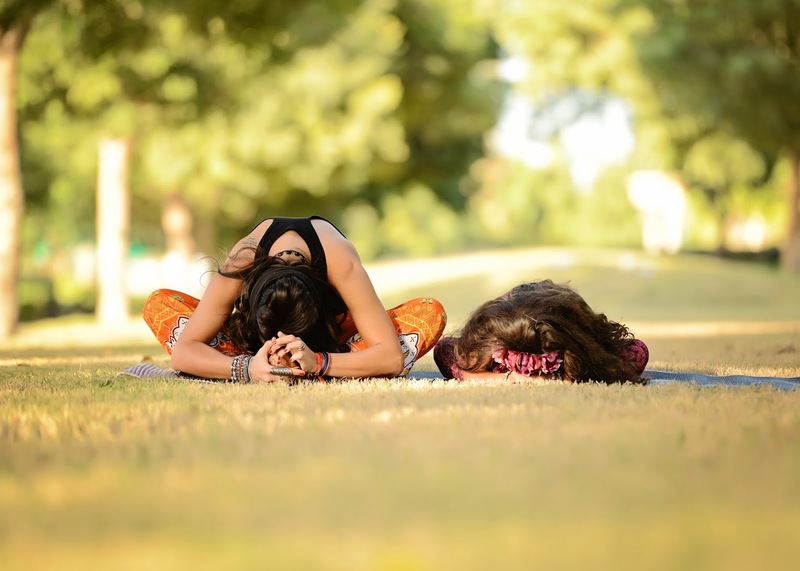 This course will help you develop a full understanding of how to teach yoga and mindfulness to adolescents aged 11 to 18, with a special focus on the 13 to 15 age group as this can be the most challenging time, developmentally, in working with teenagers. For many, yoga proves to be a life changing tool. In the face of abuse or other trauma, yoga gives a toolkit to teens to change their path in life and head for a more successful and joyful future. We do private bookings and Events!